Hemophagocytic lymphohistiocytosis (HLH) is a hyperinflammatory syndrome caused by defective lytic capability of cytotoxic T lymphocytes and NK cells, which results in proliferation of benign hemophagocytic histiocytes. A cytokine storm ensues, and a severe systemic inflammatory response syndrome, multiorgan dysfunction syndrome, and death frequently follow. It may occur as a primary (inherited) form, or be acquired secondary to malignancy, infection, rheumatologic disease, or immunosuppression. Cardinal manifestations include fever, cytopenias, hepatosplenomegaly, and dysfunction of liver, kidney, CNS, and/or lung. Additional laboratory findings include marked hyperferritinemia, hypofibrinogenemia, hypertriglyceridemia, abnormal LFTs, coagulopathy, and hyponatremia. Nephrologists need to be aware of this syndrome owing to the frequent occurrence of acute kidney injury in these severely ill patients. Glomerulopathy and nephrotic syndrome may develop. 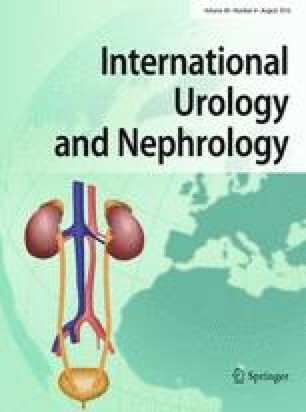 Kidney transplant recipients are at increased risk of HLH due to immunosuppression, and most such cases are triggered by infection with over 50 % mortality. Effective treatment of HLH usually requires chemoimmunotherapy to acutely suppress inflammation, specific treatment of underlying infection or malignancy, and in certain cases hematopoietic stem cell transplantation. The pathogenesis, clinical manifestations, diagnosis, and treatment of HLH are discussed. EJF: speaker’s bureau for Mallinckrodt Pharmaceuticals; JLF: none.